If you’d put this CD on, almost everybody that loves classical music, with hints of more modern music in it (because of the sporadic use of modern instruments) would tell you that this is fantastic music. You wouldn’t even suspect this was written by a metal band. As a matter of fact this music could even have been used as the soundtrack for some or another fantastic movie, like Lord Of The Rings for instance. 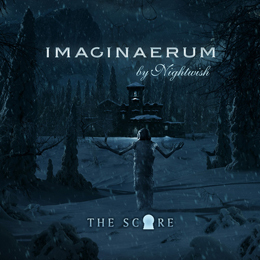 To tell the truth this album is the soundtrack to Finish-Canadian film ‘Imaginaerum’, a film that Nightwish aided to develop, and for which songs of their sevent studio album were taken, and symphoniously reworked, which also means that the solo vocals were mostly replaced by choirs. Mind you, this is not for Nightwish fans who expect metal, far from it. It’s very bombastic music though, and since I’ve always been a fan of fantastic movies – where are the Orks, I’ll let them feel my axe….- I simply love it. This is the type of music that I could play over and over again, but please, play it loud enough, so that the neighbors can enjoy it too…..